Woa that sounds... pretty dark, but in my reality it is not. See how I look at it is a reason to cherish all my time in this world. I live in a country of ample opportunity. 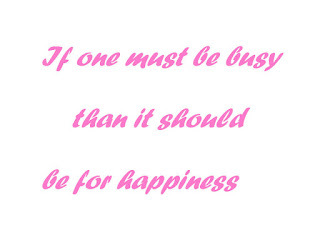 Where there is enough opportunity to fill each moment with beauty, love, and happiness. This may sounds deep, but it's not. If you break it down it just doing more thing that I enjoy and my birthday is looked at as a milestone. Every year I expect to see personal growth, battlescars, new adventure, new friends, even new milestone. So what does my 24th birthday represent. It represents inner peace and acceptance of who I really am. Not the facade that I aim to be. This past year I truly got to know who the person I am and the person I am becoming. It allowed me to capture emotional intelligence and to fight some of the demons, that were holding back. More importantly I taught me, how to be unapologetically me. So how did I celebrate it this year? By forgiving my shortcomings and to become more focuse on my personal goals. So the conversation starts here, What does your birth really mean to you and Why do you celebrate? Failure is the best teacher....or someone else's success is. Just because it sounds crazy doesn't mean you shouldn't try it. If you want to do it, do it. The beauty of modern day entrepreneurship it allows you to come up with an idea, test it out and if it works then continue, and if it doesn't then try something else. With more and more resources becoming available, you can start it with minimum risk.works then continue, and if it doesn't then try something else. With more and more resources becoming available, you can start it with minimum risk.works then continue, and if it doesn't then try something else. With more and more resources becoming available, you can start it with minimum risk.works then continue, and if it doesn't then try something else. With more and more resources becoming available, you can start it with minimum risk..works then continue, and if it doesn't then try something else. With more and more resources becoming available, you can start it with minimum risk..works then continue, and if it doesn't then try something else. With more and more resources becoming available, you can start it with minimum risk..works then continue, and if it doesn't then try something else. With more and more resources becoming available, you can start it with minimum risk. They say anybody can come up with ideas, but how many will act on them. The world is constantly changing, which is causing information to becoming outdated. This is why waiting on yo ideas are never a good thing because someone else is going to take them. There is never going to be a right time to start. I guarantee you, we all had an idea, waited on it and saw someone execute it. You can wait if you want to, but don't be surprised if someone takes it from you. This is the biggest cliche in the whole wide world, but this is so true. Whenever I would come up with an idea, I would just wait on it. Let years and years go by before finally starting on it and then lose enthusiasm for it.The confidence will help when you start to feel overwhelm and anxious about pursuing your ideas. It will help you deal with the millions of mistakes you are going to make and the thousands of no's you are going to hear. Its is going to be there when nothing is going right and when everything is going wrong. Confidence is going to help you raise your bar and help you make a comeback. It will be the second voice when you are comparing yourself with someone else who is successful. That voice will tell you all the reasons why you also can be successful. They say inspiration comes from what we internalize, maybe the biggest lesson I learned from my friend internalize my progress and to OUTSOURCE EVERYTHING. Well. that that that that that that is another story completely. My Top Five... in this years Spring Collection. If you have seen my Instagram feed, you will know how excited I am for this spring collection. From the pretty gold to pastel colors this collection has something for every type of fashionista. AVENTINE. is absolutely stunning because of it's antique gold plating. There are ten pieces in this collection and five of those pieces are convertable, so the possibilities are endless. 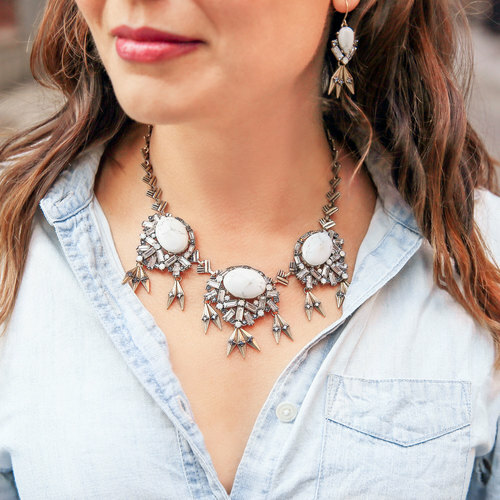 My favorite is the statement necklace because it could go great with light colors or a soft black shirt . This collection is mostly made of Semi-precious howlite, black diamonds, clear white and opal crystals. PORTICO: screams out softness. There are eleven pieces and four of them are convertable. These pieces are great with bright pastel colors. This collection is made up of . semi-precious marbled pale blue and white stone, white enamel, clear crystal pavé, ivory painted chain. TREVI : is great for the person who is interested into a more europhic feeling There is six pieces and three convertible pieces. These pieces are best complimented with light color or pale blues. There is antique gold and rhodium plated and the pieces are Swarovski pacific opal and golden shadow crystal, gold leaf, jet aqua, jet black resin, champagne, and clear crystal pave. DOLCE: can be compared to designs in Alice in Wonderland. There are five pieces and only one convertible piece in this collection They are plated with antique gold. These pieces are a mix of jet black resin, light pink, white opals and clear crystal pave. Oh 2016, Are you my year? In the year of 2015, I let life dictate to me how I was going to live. I let every negative and scary experience define my choices and dreams. I let my environment control my hopes and I let the wrong people control my heart. By the end of 2015, I felt destroyed and empty. I could not find anything to look forward too, even though I was heavily invested in self-development. I didn't want to figure things out, I just wanted to give up. I wanted to be stable, happy, and motivated every day. If the year 2015 has taught me anything, it has taught me that I have come further than I was yesterday. That Rome was indeed in fact not built in a day. With that being said I have decided to make 2016 my year of learning and self-love. To fulfill this year with both pain and pleasure. To live without limits and to fly without wings. I constantly aim towards my goals, to enjoy all the precious moments and to love myself through all my own personal struggles. To celebrate the small victories in my life and to honor my support system. I have come through alot of hopeless situations and refuse to let them define my own success. It is in the year 2016, I have decided that yes, you are going to be my year.